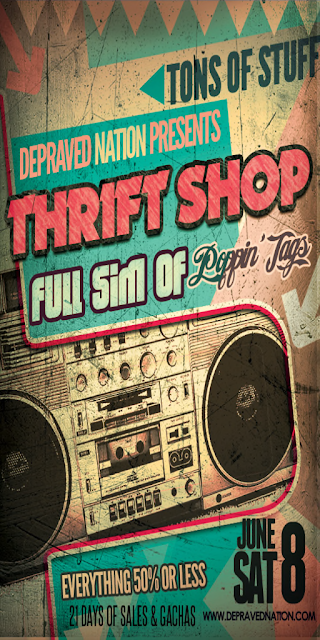 The Thrift Shop. A stunning event promoted by Depraved Nation! Lot of stores full with sales and gacha machines! Pay it a visit: it opens on the 8th June.